Construction crews broke ground in Wascana Park for the construction of the new head office for Conexus Credit Union. On Friday, earthmoving trucks began digging inside and outside of the fenced off construction zone. The 80,000 square foot new building project has attracted protesters recently, who are against the trees and grass of the park being removed for commercial developments. 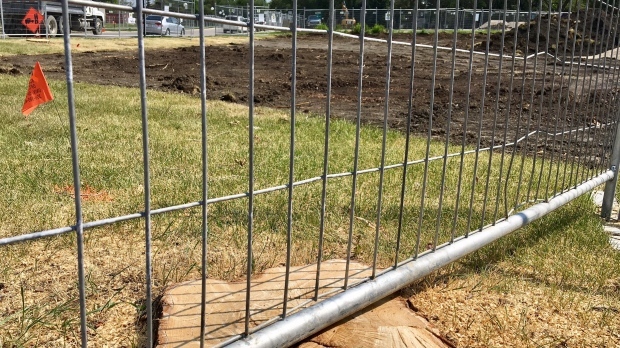 The location was chosen after Conexus offered to help fund the University of Regina’s project to restore the campus on College Ave. Conexus received a 90-year lease on the land out of the deal.